Pascal Siakam Toronto Raptors Autographed Nike Swingman Basketball Jersey. 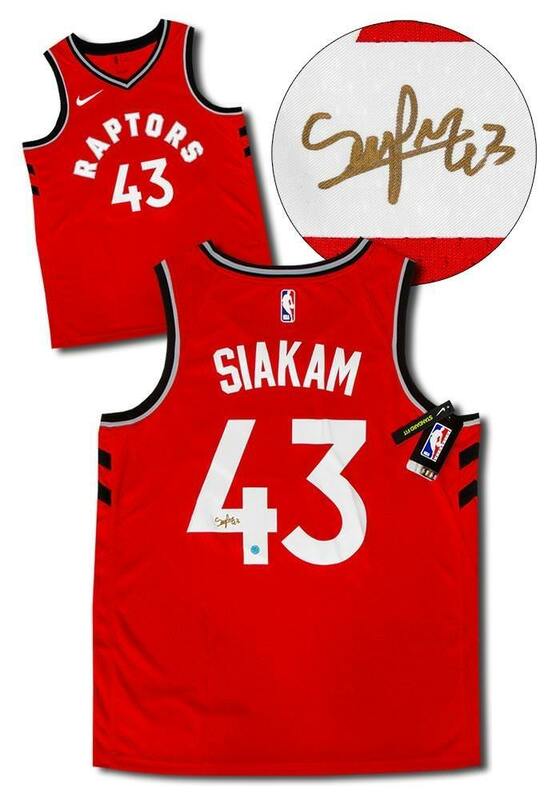 This Toronto Raptors Jersey has been hand signed by Pascal Siakam. Mint condition with original factory tags, which is beautifully signed on the back. A.J. Sports World guarantees this autograph with a Certificate of Authenticity and tamper resistant hologram from A.J. Sports World.